Here’s some good analysis comparing the oil and natural gas markets to question the theory that oil speculators are driving up oil prices. I am not opposed to tweaking the margin requirements for trading contracts but am opposed to attempts to exclude some market participants. 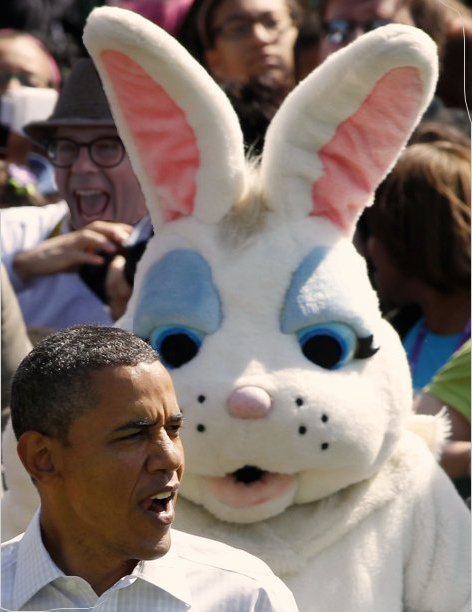 Drudge picked up this shot at an Easter day speech given by President Obama. 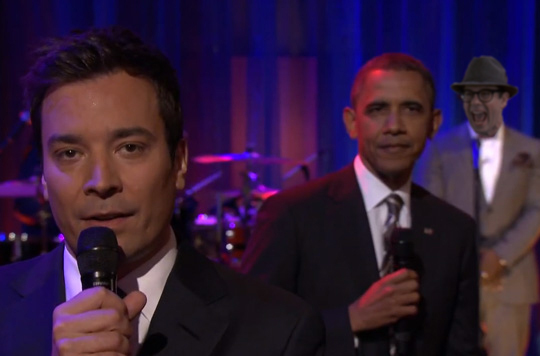 Someone said I looked kinda creepy behind him in the background…but I don’t see it. 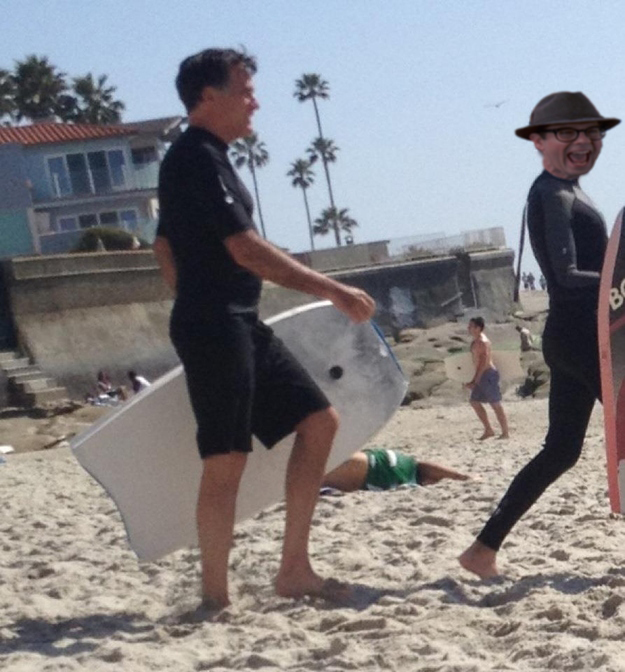 I really enjoyed the weekend boogieboarding with Governor Romney at his pad in La Jolla. Drudge didn’t link to the actual picture this time, but he did link to the page that linked the picture. The Washington Post reports that President Obama is “aggressively” buying search terms on Google to connect with voters. How long before Rush Limbaugh declares another Operation Chaos directing his listeners to go search for President Obama’s search terms and purposely click on the links to burn up his advertising budget? How much does the sponsored search listing for “free birth control” cost, anyway? A lot of people think I got my nickname “the head” because I have a huge cranium. While that is mostly true, it is also because of my interest in quantum physics at Case Western High.